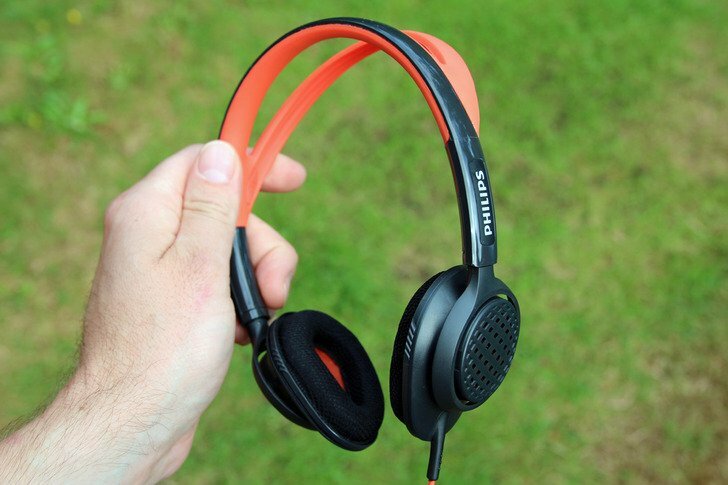 Home Fitness Technology Philips ActionFit SHQ5200 review: The ultimate fitness headphones? The gym is becoming a good market for headphone manufacturers, principally for two main reasons. The first is the fact that every piece of cardio equipment on the gym floor is now coming loaded with an entertainment centre, including TV screens and multiple audio channels. The second, is the fact that everyone is turning up at the gym with a smartphone or an iPod in their pocket. Regular headphones don’t cut the mustard, hence the proliferation of sports specific offerings. Gym-goers practically abuse their headphones compared to regular users. We chuck them in the bottom of the gym bag, where they’re unfortunate enough to have sweaty kit sitting on top of them for the rest of the day. We sweat into them on the equipment and we generally give them a really tough time. So any good set of sports headphones needs some basic qualities; flexibility, sweat-proofing and most importantly of all – a design which keeps them glued to your head whilst you nail your 10k run. So where does the Phillips ActionFit SHQ5200 fit in all of this? These Philips ActionFit’s are actually quite unique for a sports headphone is so much as they are an ‘on-ear design, rather than your usual ‘in-ear’. This is a real plus for anybody who doesn’t like having a headphone in their ear at the best of time, let alone whilst exercising. An additional upside to this type of design is the fact that they are able to incorporate a headband, which in theory provides a more rigid and tight-fitting design compared to your more regular in-ear options. This design does have some downsides; naturally any out of ear set of ‘phones are going to be larger than in-ear, so they will take up some additional real-estate in that already busy gym bag. 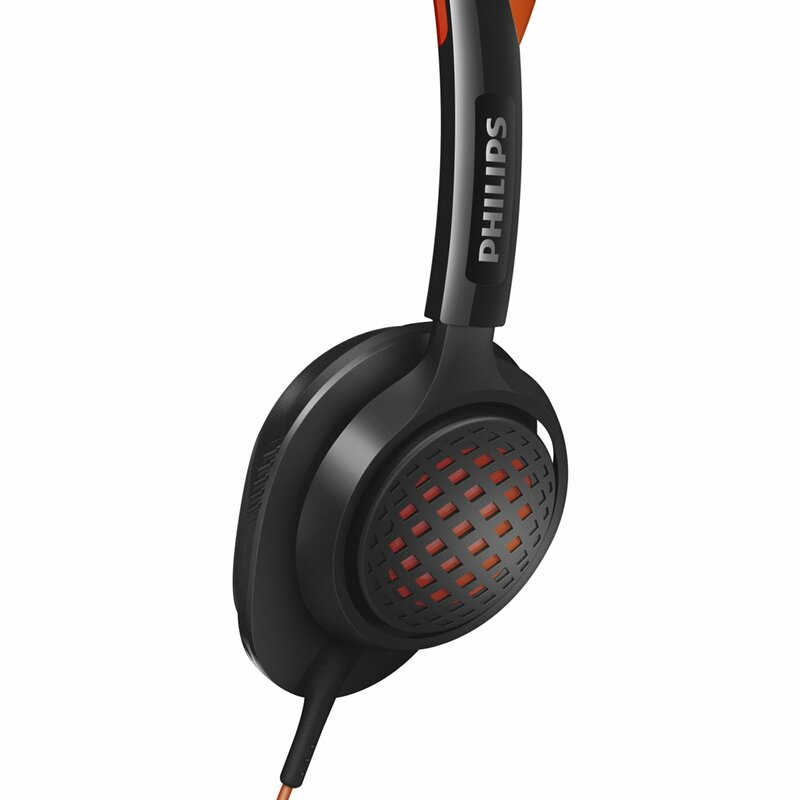 The Philips SHQ5200 claim they are tuned specifically for sport and fitness needs. This basically means that the headphones need the ability to fire out some pretty impressive bass, as you’ll probably be wanting to play some high energy ‘in the zone’ tracks. This Phillips offering delivers bass aplenty, but not at the expense of the more subtle tones, so they’re not too bass-heavy. Therefore, we found them to be effective across a range of the types of tracks that people like to listen to in the gym. Another key consideration is volume, as gym-goers typically like to crank up the volume to really get in the zone whilst training hard. A headphones ability to deliver on this front comes down to the combination of raw volume and sound leakage. Whilst the SHQ5200’s can deliver on the former, they also suffer from a lot of sound leakage. This means that any slightly less macho or otherwise embarrassing tracks are going to be shared with the person next to you on the treadmill. This could cause friction, but is less of an issue for people who like to hit the tarmac. The sound quality is genuinly good, especially for sports-specific ‘phones. 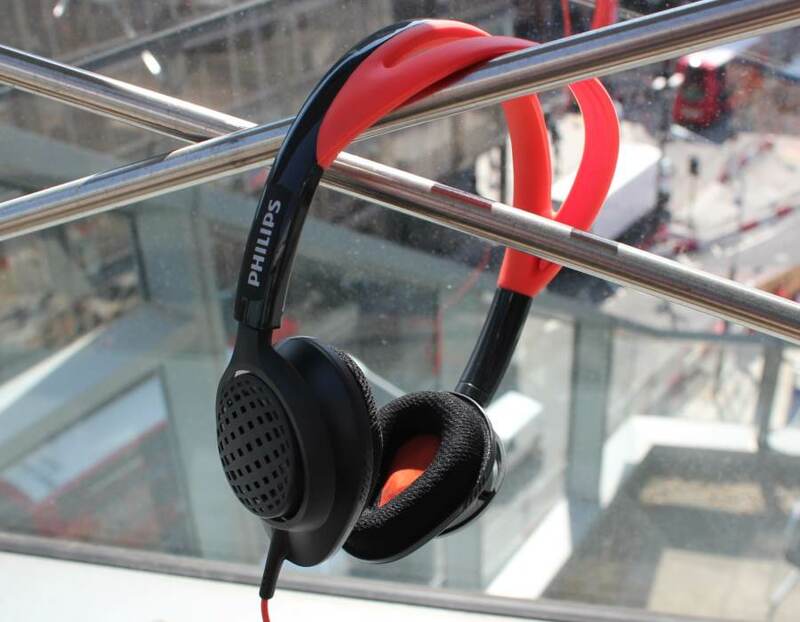 The on the ear design definitely helps here, allowing the Philips ActionFit headphones to deliver the sort of sound quality that you wouldn’t turn your nose up at on the train, let alone in Virgin Active. However, the sound leakage would be a concern for anybody who is looking to use these on a day-to-day basis. Another major concern for any gym headphones is the comfort of them. You’ll be potentially wearing these for a solid hours session, which by its very nature will involve plenty of bobbing around. A common problem with rival in-ear sports ‘phones is the heat that builds up in your ears, which can be a real source of discomfort. The out of ear design on these ActionFits avoids the in-ear sweat build up, delivering better comfort whilst training. This also helps avoid sound muffling caused by sweaty ears too. For any serious athlete, this is a really useful feature. 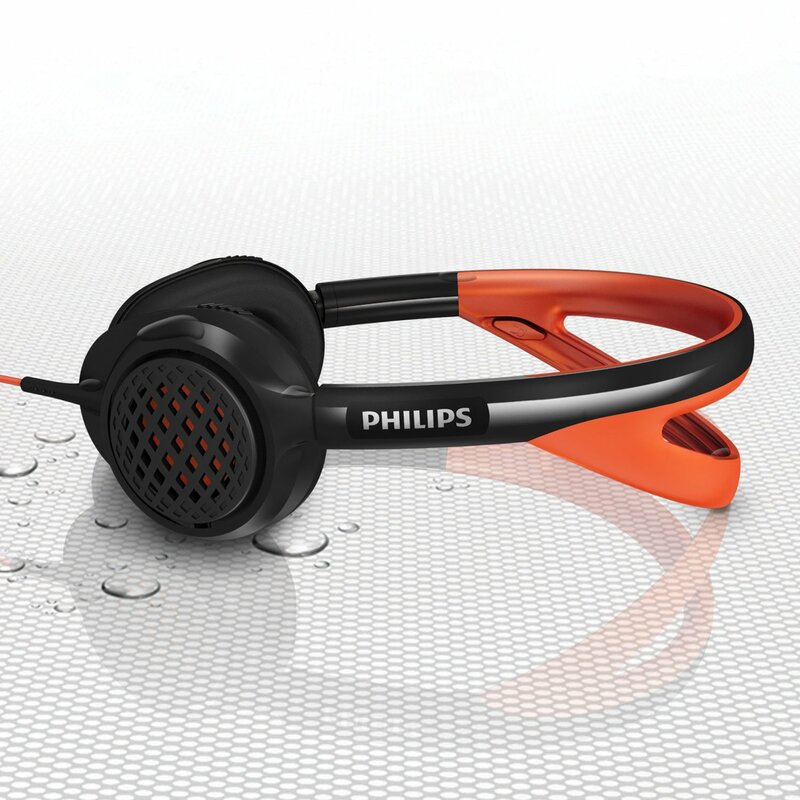 By waterproof, we don;t mean jump in the swimming pool with them, but a really nice feature is the ability to go out for a rainy run without having to worry about the headphones. The thought of getting a frazzled brain rather than a new PB on the 10K is never the most appealing, and even less so when the rains stems the motivation somewhat. Fortunately, no such concerns with the ActionFits. The SHQ5200’s headband is a nice combination of flexibility and adaptability combined with a nice lightweight feel. Made of a type of silicone which is designed to provide on the head grip, largely thanks to its rubbery feel, the Actionfits feel nicely secure even whilst performing high intensity work. The headband itself is split into two distinct sections on the top as a means to open up air flow to avoid an overly sweaty head. The cut-out design also reduces weight and bulk whilst ensuring that they generally stay nicely in place. The grip does seem to require a good patch of hair though, so if you’re somewhat folically challenged, this may be a slight issue. That potential issue put to one side, the design does feature some nice additional features. The ear pads are removable, allowing for easy washing and drying – nobody wants to wear sweaty ear phones the next day in the gym after all. The SHQ5200s feature a Kevlar re-inforced cable, which showcases their general rugged design. I like Phillips have thought through the cable, providing it in two parts so that folks who wear the iPod arm bands don;t have to have scores of unnecessary cable flying around. Overall, i have been really impressed by the Phillips ActionFit SHQ5200 headphones, and i would go as far as saying that they;re the ultimate fitness headphones – at least amongst the ones that BurnTech.TV have test-driven. My main reason for stating that is their out of ear design. I think there upsides are too big to ignore and i simply have never been a big fan of headphones sitting in my ear, least of all whilst training. As a side benefit, larger headphones that sit out of ear are all the rage at the moment – just look at the amount of people sporting Dr Dre headphones. Good comfort, nice sound quality and a good range make them a fine pair of gym headphones. No piece of tech is beyond criticism though. At £65, they’re certainly not being given away. I also had the slight challenge with the cable length, and i have some concerns that they may not be a great fit for my folically challenged friends, but all in all, I think these are a worthy pair of sports headphones. If you own a pair, share your opinions in the comments below. Previous articleWarning: Has your Smart TV been hacked to spy on you? Next articleForget Money: What would you do if money was no issue?